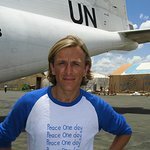 After three years of meeting with heads of state, NGOs, and proponents of peace, Jeremy Gilley achieved what he thought might never happen: In 2001, the first ever Ceasefire Nonviolence Day on the fixed date of 21 September was unanimously adopted in the United Nations general assembly. 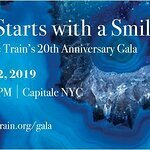 However, on 11 September, when Gilley was to announce the date at a press conference, New York’s Twin Towers came down and “the world was never told there was a day of global ceasefire and nonviolence,” says Gilley. Gilley thought he could bring much-needed attention to the Day of Peace by showing the film he had been using to sell the idea to the UN, but viewers were unconvinced. Most saw it as a nice idea, but only symbolic. Frustrated, Gilley decided to make a new film and find partners. Eventually, UNICEF came on board. Then, actor Jude Law, attracting, at last, some press. After a tour through Afghanistan, Gilley received a letter from the Taliban promising to observe a ceasefire day. In a TED talk about the journey from its launch to present day, Gilley says that in 2008, the commander of the international security assistance forces in Afghanistan released a statement that he would observe the 21 September date and later the UN department of security and safety reported that violence was down 70 percent in Afghanistan on this day of peace. On 21 September this year, Gilley will launch a “365-days to Truce 2012” campaign to try to create the largest ever recorded cessation of hostilities. Here is more information about Peace One Day's Global Truce 2012.